Roger Frischkorn is President of the firm’s Secure Services Division. He is responsible for the overall operations, P&L, service delivery and business growth for the government sector, and oversees select defense and intelligence contractors within the U.S. He manages various teams within the secure services sector and provides innovation solutions and cutting-edge approaches for the government. His extensive knowledge of government regulations and understanding of changing client needs has positioned the company for growth and success within the government sector. 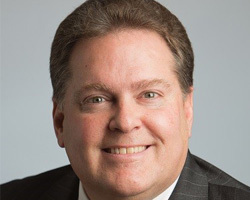 He has been with the company since 1989, first with Ogden Allied and subsequently with UNICCO, UGL and DTZ as a Director and later Vice President of Government Operations. Roger holds various government clearances and is a Certified Professional Maintenance manager. He is the current President of the Washington, D.C chapter of the Association for Facilities Engineering. He received his graduate degree from Indiana State University and a bachelor’s degree in public administration and political science from Ohio Northern University.